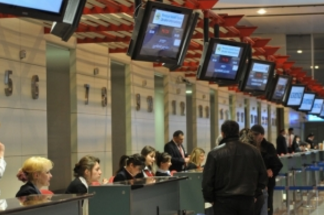 The number of passengers at Kutaisi airport was reduced by 35,049 and totalled 182,954. The agency explains this with Wizz Air’s cancellation of flights to Ukraine. Meanwhile, the National Tourism Administration of Georgia announced that in 2015 the number of visitors to the country increased by 7% with around 6 million visitors in total, who crossed the border of Georgia.